This isn’t your Mamas meatloaf. 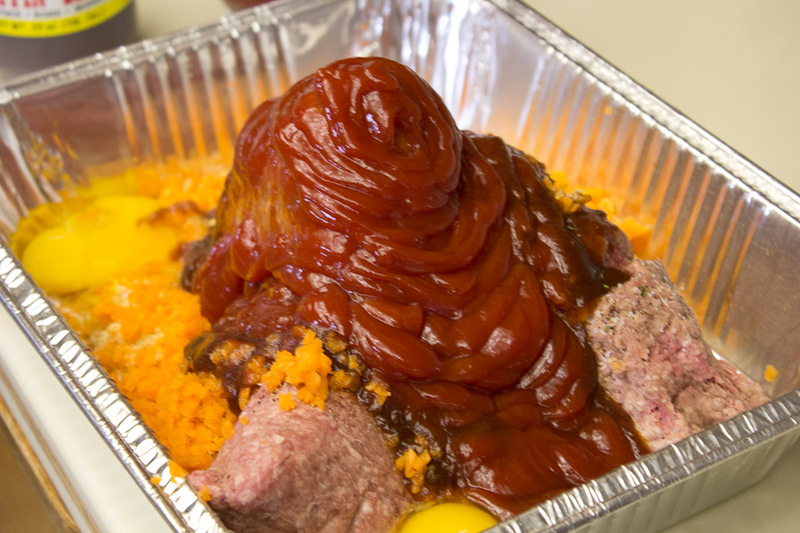 This is a BBQ meatloaf. 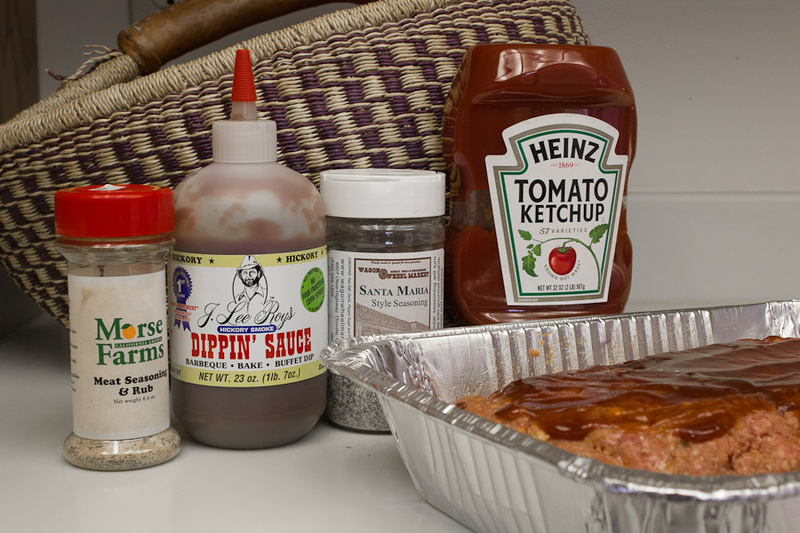 Can you believe that, a barbecue meatloaf? This is one of the easiest dinner recipes or lunch recipes out there, but it is also one of the best meatloaf recipes. Are you interested yet? This is how to make a meatloaf. Just like any other meatloaf you start with hamburger. I prefer ground chuck from, yes my favorite meat market, The Wagon Wheel Market. You can use any grade of hamburger, but I like a high grade of hamburger because there is less grease and also more favor. 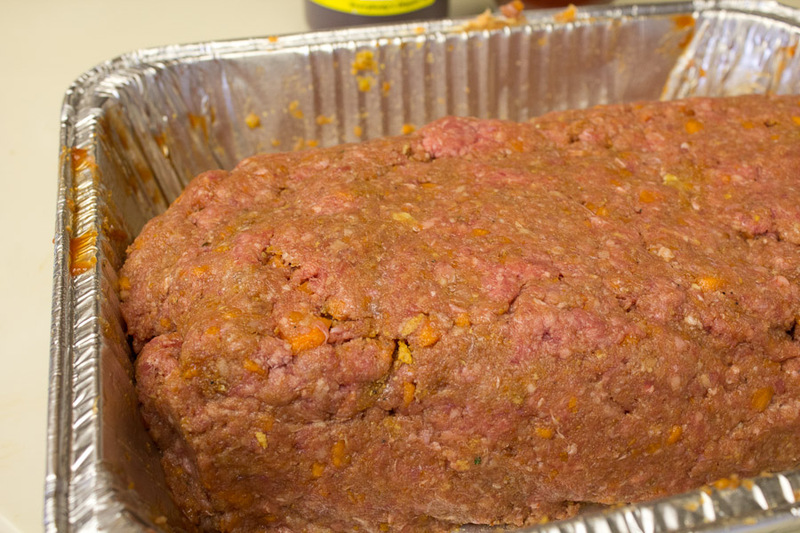 The other ingredients you will need to make this epic meatloaf are carrots,catsup,BBQ sauce, bread crumbs, brown sugar, eggs and seasoning. So while I am waiting for the Kingsford briquettes to get white hot I like to mix the meatloaf ingredients. I think this barbecue meatloaf is best when cooked at larger sizes so I like to use a pan big enough for two lbs of meat. I mix in two cups of catsup, one cup of BBQ sauce ( preferably J Lee Roy’s ). After the catsup and barbecue sauce are mixed together, I add 2 cups bread crumbs (add more for a denser meatloaf), 2 eggs and chopped carrots. Yes, chopped carrots, but not too many. You only need about six to twelve baby carrots or one and a half whole washed and peeled carrots. Before you start mixing the meatloaf don’t forget your seasoning. You can use salt and pepper to your likening, but I prefer to use both Morse Farms seasoning from Morse Mandarine Farm and Santa Maria seasoning from The Wagon Wheel Meat Market. It is important to mix all the ingredient thoroughly. Mix until you think it’s mixed and then mix it again. This is the most enjoyable part of this easy meatloaf recipe besides the eating part. Once the mixing is done grab a small bowl and mix one cup of catsup a half cup of brown sugar. I like to add J Lee Roy’s to the mix also. The J Lee Roy’s gives the sauce a delicious “Sweet and Hot” flavor that I love. You can add a half cup of your favorite bbq sauce if you want. Now mix together with a fork and when you’re done pour the mixture on the meatloaf and spread it out all over the top. 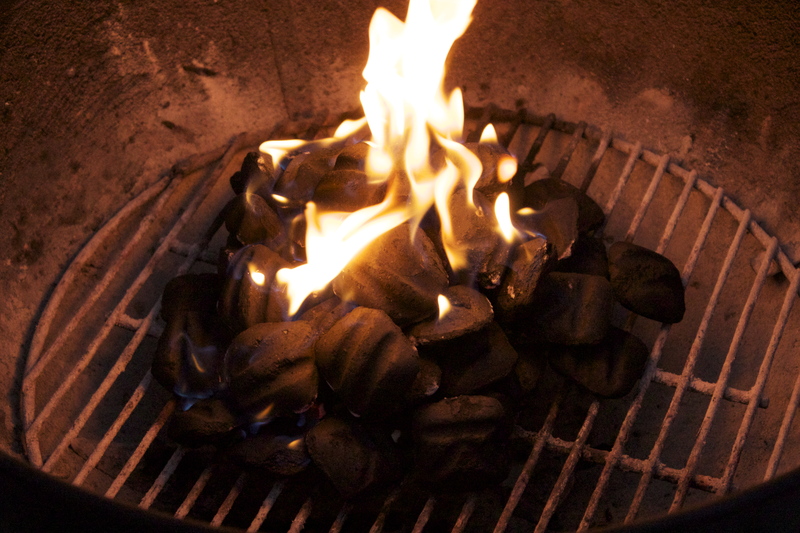 Now your charcoal should be hot, but before you put your meatloaf on the grill, push half the coals to one side and the other half to the other side. This is the time when I add chunks (not chips) of cherry wood to the coals. This will give the bbq meatloaf a great smoky favor. It is better to use chunks of cherry wood rather than chips because the chips burn up to fast and don’t add any flavor. Now place pan with the meatloaf in it on the barbecue grill and wait for 1 hour and 40 minutes. 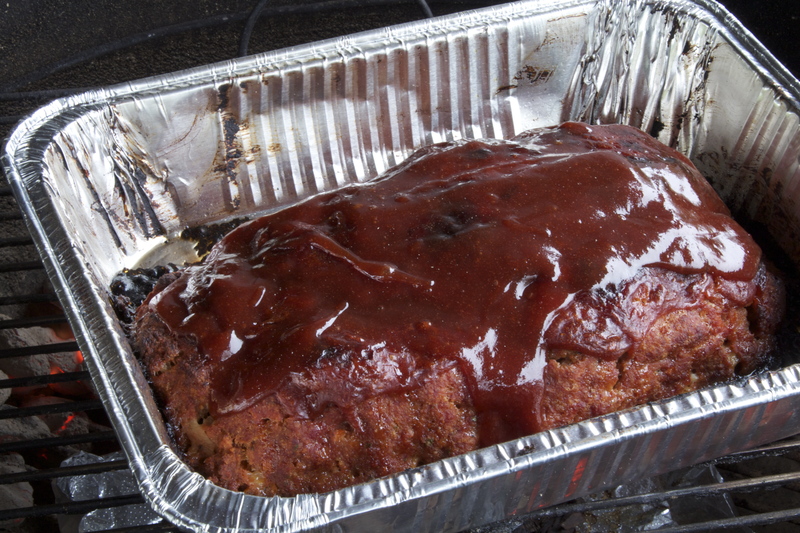 Once the bbq meatloaf has finished cooking drain the grease from the pan and dig in. I promise you will love it! If there is any left overs try a meatloaf sandwich the next day. They are awesome too. I am thinking about trying this this week. I hear it is delicious!